New 2010 Edition - Available Now! "The patient advice offered by Dr. Gold in this book is beyond valuable. I strongly recommend it to other patients." Each year, over 2,000,000 orthopedic surgeries occur for bone and joint pain related to problematic knees, shoulders, hips, ankles, elbow, backs and hands. HOWEVER... According to reports, "Many patients are unhappy with their surgical outcomes due to unrealistic expectations and... lingering pain." AND... DID YOU KNOW? Due to improper diagnosis and information exchange, patients often fail to make responsible choices for the appropriate medical care required. The Patient's Guide To Orthopedic Surgery was written by Dr. Stuart Gold, M.D., a leading orthopedic surgeon with 23 years experience, to address these issues and better prepare patients for the realities of orthopedic surgery. "Thanks to Dr. Stuart Gold, I still have my right leg. After a terrible dirt bike accident, Dr. Gold used the Ilizarov procedure to save my leg. He's an excellent doctor.... One of the best orthopaedic surgeons around." "Doctor Gold is an Athlete's Doctor. Knowing that I had ruptured my ACL, Dr. Gold did not immediately tell me I needed reconstruction surgery in order to play again, but tried to determine how important playing immediately was to me. He didn't tell me what to do but gave me the chance to see if I could still play on my knee for the season." "I have been a patient of Dr. Gold since 1990. I have had knee problems and required many surguries. Dr. Gold has always been informative, spelled out my options and has supported my decisions. I am not sure if I am a special patient but he has been there for me through my many injuries related to my job as a Police Officer and SWAT Operator. " When working with him as a CRNFA in the operating room, I admired his surgical skills. He only does surgery after he has exhausted all other methods of treatment, but when surgery is necessary, his patients get excellent results. Stuart M. Gold, M.D.C.M, is a board certified orthopedic surgeon who has over 23 years experience with sports injuries, joint replacement, arthritis, complex acute limb fractures, reconstruction and limb salvage. Dr. Gold is recognized nationally and internationally as a leader in limb reconstruction and salvage. Born in Montreal, Canada, Dr. Gold is the Director of the Orthopedic Institute in Torrance, California. In addition to his clinical practice, Dr. Gold has been involved in orthopedic education for 20 years and is currently the Chief of Fracture Reconstruction and an Associate Clinical Professor of Orthopedics at Harbor-UCLA Medical Center. Dr. Gold has five children and lives in Southern California with his wife of 20+ years, Sara. If you are unhappy with The Patient's Guide To Orthopaedic Surgery, for any reason, you are entitled to a 100% money back guarantee. The Patient's Guide To Orthopedic Surgery is available at this website only. All major credit cards (Visa, Mastercard, Discover and American Express) and Paypal are accepted. Plus, all purchases are securely processed and come with a 100% money-back guarantee. You can purchase an eBook or paperback copy of the book. The eBook takes about 30 seconds to download to your computer. The paperback will arrive just 2-3 days after purchase in the United States and 6-8 days internationally. 1. Can I purchase The Patient's Guide To Orthopedic Surgery at local book stores like Borders and Barnes & Noble? No. At the present time, The Patient's Guide To Orthopedic Surgery is not available at Borders or Barnes & Noble. This is the only website that offers Dr. Gold's book in paperback and eBook formats with a 100% guarantee. 2. Is it difficult or easy to download the eBook format of The Patient's Guide To Orthopedic Surgery? It is very easy to download The Patient's Guide To Orthopedic Surgery. Once your payment is securely processed, you will instantly visit a special webpage where you can immediately download the eBook. It usually takes no longer than 30 seconds to download the eBook to your computer. 3. Does the 100% money-back guarantee apply to both eBooks and paperbacks? Yes, the money-back guarantee applies to both eBook and paperback formats. 4. Is it safe to make online payments using a credit card? 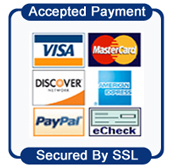 This website uses the latest, most sophisticated encryption technology to ensure that all transactions are secure. Specifically, this site uses a 256-bit Secure Sockets Layer Certificate provided by Comodo, a leading provider of website security. That said, it is very safe to use your credit card for online purchases of The Patient's Guide To Orthopedic Surgery. To verify the secure encryption of this website, simply click the Thawte icon below. 5. Who should read The Patient's Guide To Orthopedic Surgery? Enhance the patient's recovery from orthopedic surgery. 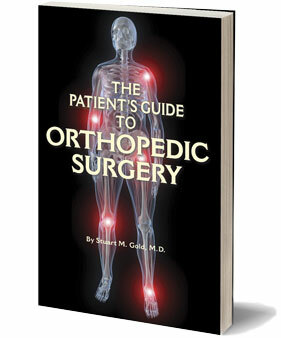 The Patient's Guide To Orthopedic Surgery is available at this website only. All major credit cards (Visa, Mastercard, Discover and American Express) and Paypal are accepted. Plus, all purchases are securely processed with a 100% money-back guarantee.